We have a large amount of applications for collection of sport statistics, for example handball, football, badminton, tennis, skiing, cycling and many more. While they are easily integrated with our other products, they can also be used standalone or integrated with 3rd party products. They can be used for single matches and events, or for full tournament management. Output is available in different forms such as xml- or json-feeds (local or online), web pages or direct database access. Our applications are made with focus on stability and redundancy, all to avoid data loss and keep depending systems running. The webCIS is a powerful tool for keeping track of statistics during live sports production. 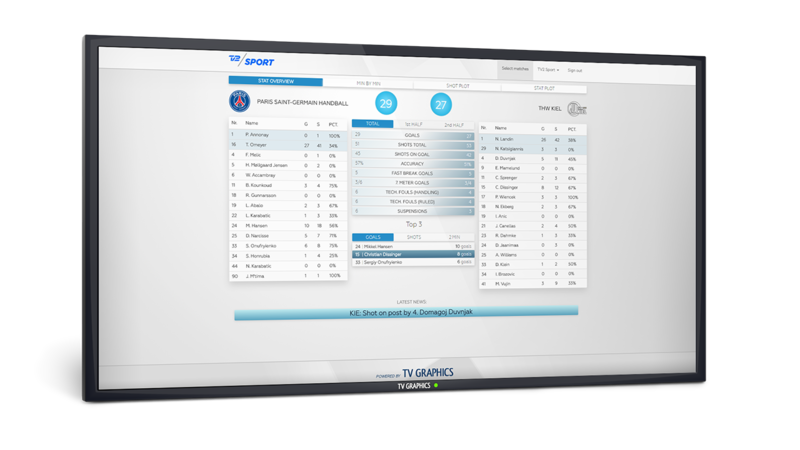 It offers a live updated statistics overview of a current match and can easily become a seamless part of your workflow. 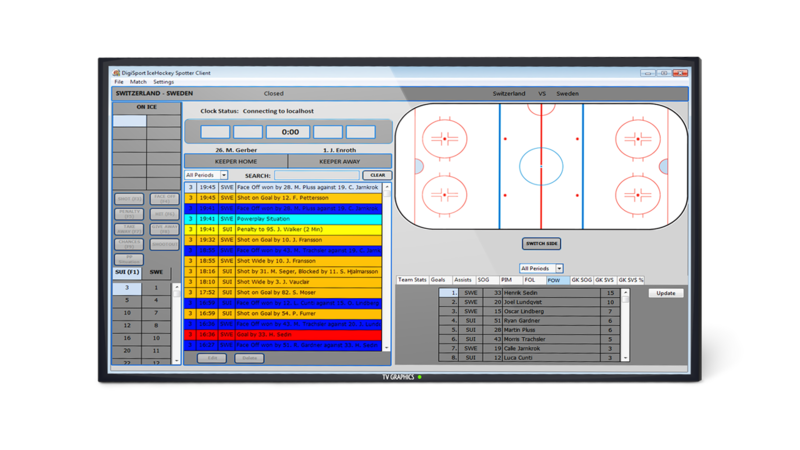 Spotter software and database for icehockey, including time on ice feature. 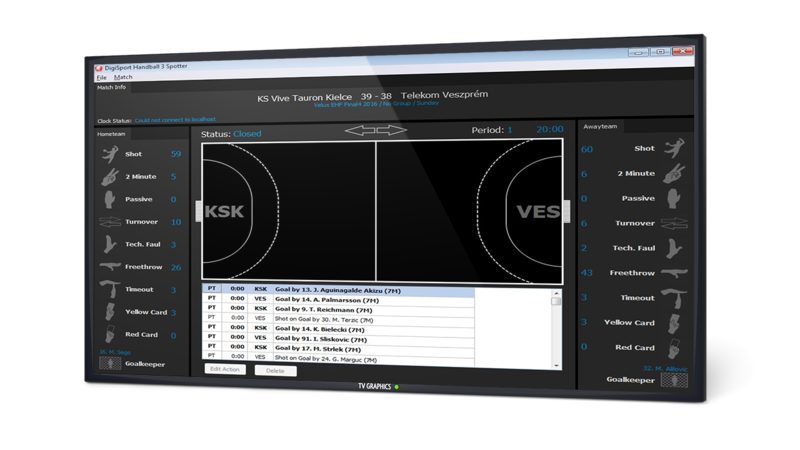 Used for example during the IIFH World Championship. 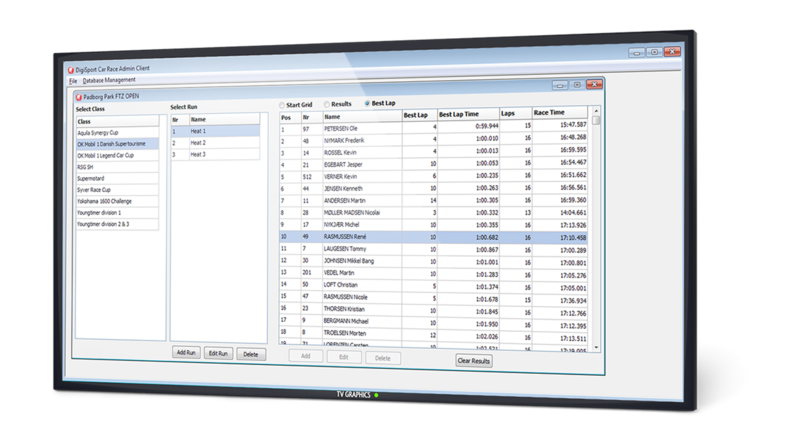 Race timing software, used for example on DTC (car racing), slalom, cycling and running.